​Creating awareness and funding for early intervention. HALO. The HALO Foundation’s goal is to provide an opportunity for the autism community to come together in the hopes of creating awareness and funding for early-intervention therapies for autism. 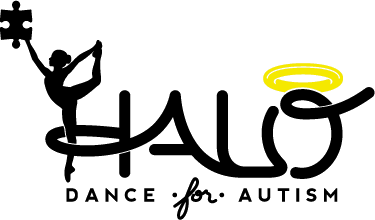 Cami’s view that dance speaks volumes through movement to express a story, emotion and feeling led to the idea of the HALO Dance for Autism Show which combines telling the story of autism and related therapies with fundraising to provide these therapies for families in need. To do this, the Foundation produces an annual show featuring dance talent from across the southland, including some of the top professional, college, studio, elite high school dance teams, and celebrity performers. The show itself also educates the audience on autism by featuring videos highlighting new and effective therapies for autistic children as well as answers to common questions about autism. The proceeds generated from the annual dance show, including all ticket sales, silent auctions, and merchandise sales, go directly to fund these and other therapies for families in need. With your support, the HALO Foundation can continue to enrich the lives of children with autism.